Many people doing mistakes when they get into an emergency locksmith situation when calling a local locksmith. These people get stress when they lock themselves out, especially in the middle of the night. With that being said, they call each and every locksmith in the book, dealing with remote locksmith company and international dispatch center. Let’s point it out, this is one of the most frustrating moments one can be, but you can sort thing out better and faster when you deal with a local locksmith company. It must be remembered, there are plenty of locksmith companies online and in the directory book, who is the right locksmith to choose? Dealing with a local locksmith company ensure you fast and reliable service. It also provides you with a long-term relationship and guarantee of the locksmith that everything will work fine after he done his work, and for a long time. 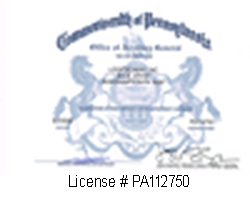 As a local locksmith company, we are local to the Lehigh Vally, Pennsylvania. We know Allentown, Bethlehem, and Easton roads very well. We know all the shortcuts and the traffic-free roads to your place. When you call us, you can rest assured that we will be there within 20 minutes of your first call. LockTech24/7 stands for its name. We are 24/7 mobile locksmiths, working for you all the time, 24 hours a day, 7 days a week. Whenever you need to unlock your door, we are here to help. It’s important to remember that we are professional in automotive, commercial, and residential locksmith services. Among our professional locksmith services, we provide all lockout services, automotive keys made, lock repair or replace, and security application installations. LockTech24/7 is your one-stop mobile locksmith shop, supporting our security hardware and labor with a 90 days guarantee. As a matter of fact, when you contact us, you get high skill and experiences locksmith with affordable price. We’re located in Northampton, Pennsylvania, serving the entire Lehigh Valley and surrounding areas. In addition, we are driving full mobile locksmith shop to work on-site wherever you need us in Bethlehem, Easton, and Allentown. However, we serve the entire Lehigh Valley, PA.
Our office locates in Northampton, Pennsylvania. The area we cover is 30 miles around Northampton and Allentown PA. From Bangor in the North East to Kutztown in the South West. And from Riegelsville in the South East to Lehighton in the North West, we are simply everywhere in the Lehigh Valley. Don’t hesitate to call us when you are in need of fast and professional locksmith service. Whether you need automotive locksmith or commercial locksmith, and whether you have a question about the the locks on your doors, we’re happy to help. We have years of proven experience in locksmithing all around the Lehigh Valley. Our company is locally own and operate and we do not use a dispatch or a call center. LockTech24/7 is locally to you and professionals in what we do, locksmith service.